Hill Top Home of Comfort in Killdeer, North Dakota serves 75 patients in its nursing home facility. The staff’s tasks became more difficult due to unreliable technology. To start, their computers needed repairs often. “Every other week, we were having to take this computer or that computer in, and it just started adding up. It was $200 here and $500 there,” said nurse Stephanie Harderson. Hill Top’s wireless Internet cut out often, leaving the staff to their back-up matrix software. Their printers and copiers lacked advanced features, such as scan to email and print volume by user. Hill Top’s administrator, Gerry Leadbetter, felt frustrated by the unreliable technology environment. “In electronic medical records, IT is so important to have working. We finally decided we needed a whole new plan. I was tired of living up here day and night,” said Leadbetter. On top of their IT issues, Hill Top had an outdated print fleet. With a dozen printers and two copiers, Hill Top’s staff prints pages for doctor’s visits and appointments, calendars, schedules, etc. “Our newest machine was probably at least ten years old,” said Harderson of their print devices. When Hill Top’s staff couldn’t handle the unpredictable equipment anymore, they turned to Marco. A colleague recommended Marco to Leadbetter, who then called the company for assistance right away. Automatic toner and ink replacements are another plus. “We don’t have to carry a lot of supplies on hand. That has been a good road,” Leadbetter said of their Managed Print Services. Besides the automatic ordering and increased functionality, the multi-function devices save time and efficiency. 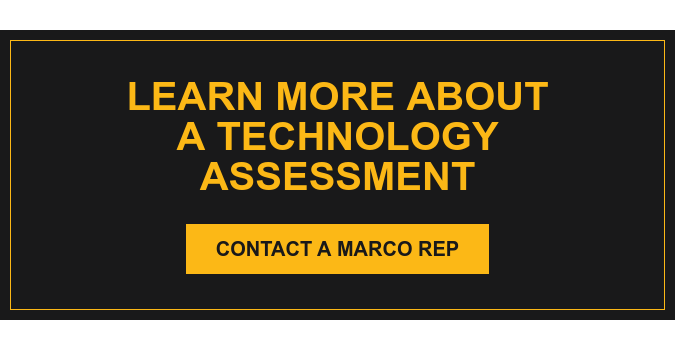 If a rare issue arises, they call Marco’s support desk and quickly have the problem solved either remotely or on-site. “Anyone can come sell you stuff, but it’s what you get down the road. Our sales rep and network systems engineer and the rest of the team at Marco, they are always there for us,” Leadbetter said. Before, Hill Top didn’t have the reliability of specialists to help solve their technology issues, but Marco gives the 24/7 support the medical facility requires. The multi-device project ultimately established an improved, reliable network for Hill Top. “We covered a lot of hurdles, stuck together, and at the end of the day…we have a great system that works. As we work together with Marco, we keep improving our system, and that’s kind of exciting. Marco doesn’t just sell it to you; they help you keep it going and improve. I hope we continue to build and grow together for many years to come,” Leadbetter concluded.